Villanova College is a Catholic school for boys located in the southern Brisbane suburb of Coorparoo in Queensland. It was established in 1948 and has a large, vibrant, highly regarded and successful music program with more than 85 music ensembles including orchestras, bands, choirs, jazz ensembles. They also have numerous chamber and contemporary music groups. The music department employs a large number of tutors and has a dedicated Print Music Librarian to manage and maintain their extensive music library. Initially this was done through a series of spreadsheets which over time became a challenge to maintain. The collection of data was very good but the ability to share the information and search across all types of music and styles became awkward. The Librarian was primarily responsible for the management and collation of all music in and out of the department. Information pertaining to each piece of music was entered into an Excel spreadsheet. No system was in place to track instruments, their loans or performance groups. As the information provided by Villanova was of a good, reliable quality the Standard Implementation Package was therefore recommended. Optimo staff processed all the data through the Optimo Data Cleansing Program prior to uploading, and comprehensive training was provided on site to all music staff. This enabled the music staff to continue the process of barcoding and tagging all instruments and items of equipment and to manage their performance groups. Today the implementation of Optimo has enabled Villanova to track and monitor its print music, recordings, digital music, instruments and equipment all without the need for spreadsheets. 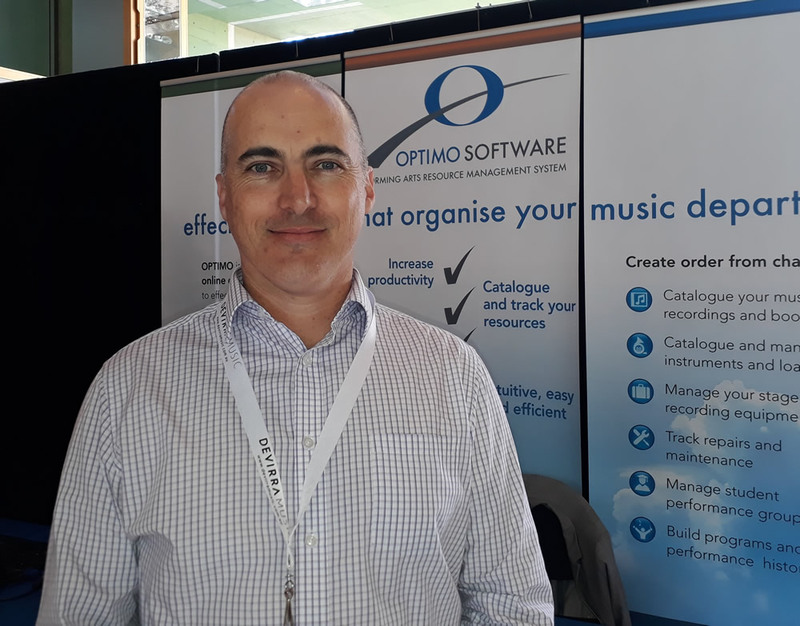 The role of the dedicated print music librarian was modified in line with the installation of the Optimo Plus program to ensure a more comprehensive categorising for effective and quick retrieval of music. The cloud based feature has enabled all staff to be able to access securely the information anywhere at any time. In particular, it has provided tutors with greater control over the management of their performance and tutorial groups together with the ability to mark rolls easily and transparently. Villanova has recently implemented a number of timetable changes and is currently in discussions with Optimo regarding their rotating timetables. Optimo Plus has been a fantastic investment for our program. The ability to organise and communicate easily with ensembles, tour groups, or honours ensemble members and their families is amazing. The ability to track and communicate with home regarding student attendance has also been a great tool for our program. The library functions makes planning and preparing repertoire a joy and the ‘event centre’ makes backstage planning and program creation seamless. The confidence Optimo gives me in terms of tracking inventory is priceless – for the first time I am able to confidently plan and project long-term resource requirements based on the information I am able to glean regarding instrument depreciation and repair costs. The Optimo team are always ready to assist with any queries my team has regarding the program and the continuing improvements are always a welcome development to enhance our program organisation. Thanks Yvonne and Russell!